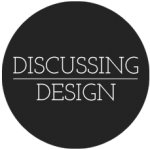 About | Discussing Design - Paying attention to the details of design critique. The goal of this site is to provide insights and resources for improving the conversations we have around design. The topic of critique may seem like a small one at first, but when you begin to pull it apart, and examine it’s place in the process of design or iterative improvement, you begin to see just how complex and pervasive it can actually be. In early to mid 2010 both Aaron and I were feeling very frustrated with the way we saw people talking about designs, both in the projects we were working on and in the public space in places like twitter, Facebook, local meetups and various blogs. But living on opposite coasts, we didn’t know it. So we ranted about it to anyone who’d listen, until finally we both ranted to the same person enough, Miss Whitney Hess, that she put us in touch. A Skype call turned into a conference presentation, which turned into numerous conference presentations, which became a workshop, and now a blog. With this blog, we plan to dig deeper into many of the details that come up in critiques or whenever we discuss designs and ideas. As we talk about these details we hope that it’ll emphasize the importance of critique as a skill for, not just designers, but anyone playing in a role in the creation or improvement of something. We also hope that you’ll see how important it is to understand these details and how they fit together, because once you do you begin to factor them in to the way you carry your conversations, improving your ability as a communicator and collaborator. You can also follow our twitter account @DiscussingD for content and resources on the topic of critique and to be notified when we post new articles. It’d be awesome to hear what you think. If you’ve got thoughts on the subject, questions, or would like to share a story about your experiences with critique, hit us up. Adam Connor is an Experience Design Director with Mad*Pow based in Portsmouth, NH (but working from his home in Western MA). Focusing on the design of digital products and services, Adam combines a background in Computer Science, Film and Illustration with 10+ years as an experience designer to produce efficient and effective design solutions. Adam is also an accomplished illustrator and public speaker. You can see and learn more about Adam’s design philosophy, illustration work and speaking dates on his site: adamconnor.com. Aaron Irizarry is a Product Designer for Nasdaq OMX. Aaron combines a background in visual design with a passion and deep understanding of experience design to create well rounded product experiences. Aaron is also a public speaker and is heavily involved in the design community where he helps organize meet ups and conferences. You can learn more about Aaron over at his blog: thisisaaronslife.com.